Im sure you guys know that if not taken care our skin can lose its radiance, and become dull with time. Today’s recipe will help combat dullness of the skin. The soap we are making today is a melt and pour, so you can get creative with its design. You will need a SoapLab’s Handmade Transparent soap base which will be added with Vitamin C and orange juice for today’s dull skin recipe. SoapLab’s Handmade transparent soap base is gentle on the skin and is a good moisturizer. Orange juice hydrates the skin and cleans up clogged pores. 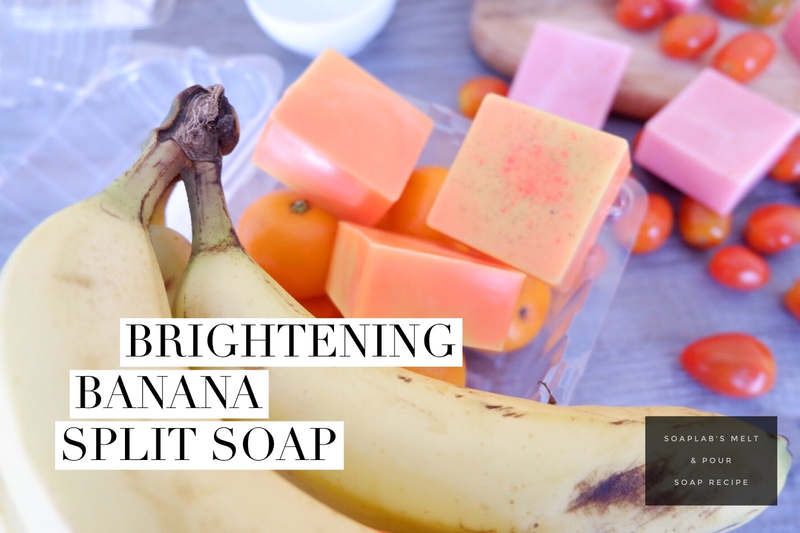 This helps freshen the skin and make it bright and radiant. However; it can be boring with just these, so we added orange banana fragrance for a citrusy and fruity aroma with a hint of sweetness. and to get creative with the color, we added neon orange mica and yellow mica. Try It! & Have fun!